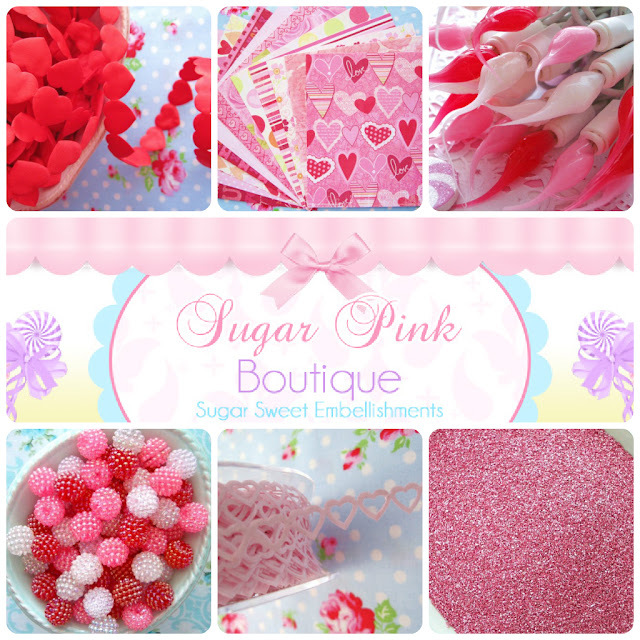 Sugar Pink Boutique is one of my absolute favorite places to get special crafting & decorative goodies. Pretty, unique and perfectly priced for your pocketbook. And they've got an amazing selection of Valentine's themed items for making projects look extraordinary. Check out their Valentine Mix Berry Beads. They are candy colored cute and great as vase filler, jewelry or glued as embellishments. Red Satin Heart and Sweet Pink Satin Heart Ribbons are great for tying up treat bags, barrettes, embellishing cards or use as a luxurious confetti! Looking for pretty papers? 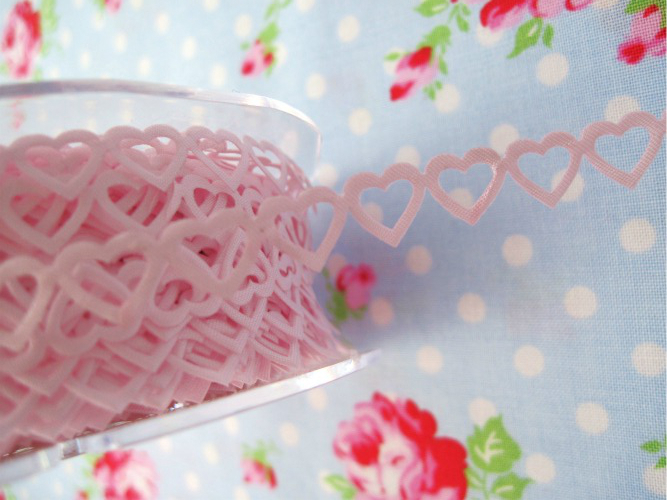 Try the Pink Hearts Paper Set. These double sided papers give you 24 different prints in one batch. Great for scrapbooking projects, gift tags, cardmaking, decoupage - the possibilities are endless. And to add a little extra love to your projects, use some Cottage Rose German Glass Glitter. So gorgeous! There are loads of beautiful supplies and embellishments to make Valentine's projects all that much sweeter. And with great shipping rates and fast customer service, you'll have them in plenty of time to make a crafty love match! I love your Sugar Pink posts!! Their stuff is soooo cute and girly and awesome! I know what you mean - everything there is such crafter eye candy - I could buy the whole store! !